Older people are more likely to have degenerative meniscus tears that slowly tear over time. Your treatment will depend on your age, the type of tear you have, its size, and location. Most degenerative meniscus tears in older patients respond well to physical therapy. In some patients who fail physical therapy, surgery may be necessary. 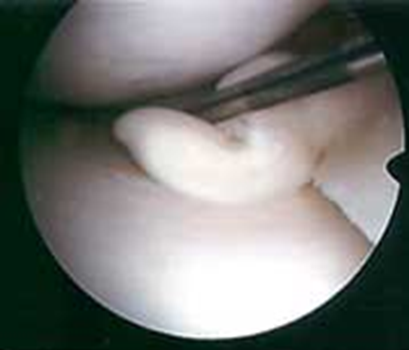 Younger patients often tear the meniscus during a sporting event or other athletic activity. 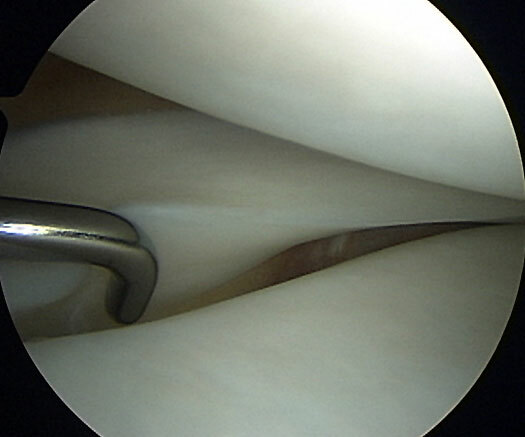 Depending on the tear pattern, meniscus tears are repaired in the younger age group. Whether a repair is attempted depends on the location of the tear relative to the blood supply. In contrast, the inner two-thirds of the meniscus lacks a blood supply. Without nutrients from blood, tears in this "white" zone cannot heal. Because the pieces cannot grow back together, tears in this zone are usually surgically trimmed away. The surgeon uses a camera to look inside the knee to evaluate the tear. At that time the torn tissue will be excised or repaired based on the surgeon’s evaluation. If you have had a meniscus repair procedure, you will need to use crutches for about a 6 weeks to allow the repair to heal. There will be a specific physical therapy program aimed at restoring knee function. Rehabilitation time for a meniscus repair is about 3 months. Patients who have a partial menisectomy return to activities quickly as the damaged tissue is removed. Most patients return to work or sports in 2-3 weeks.